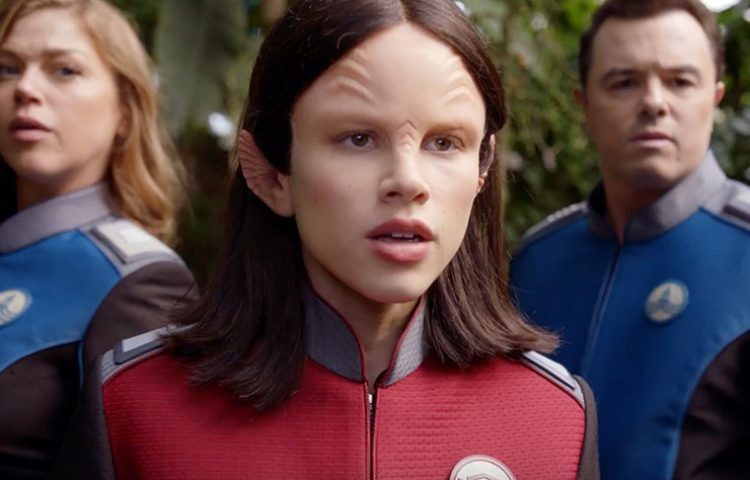 "Command Performance" improves upon the Orville pilot while also doubling down on several of its problems. It’s an improvement in that the tonal clash, while still present, is less frequently obvious. It also jettisons the mindless action and cartoon villainy that caused the last act of "Old Wounds" to completely fall apart. And it features an A/B-story structure that proves the supporting characters on this show will eventually get their due. On the other hand, one of the biggest problems remains and is not likely to go away anytime soon: This show is such a blatant rip-off of the Rick Berman Trek era that it’s distracting and counterproductive. It’s one thing to pay homage, but when you claim to be in a different universe (wink, wink) and then proceed to make everything such a Trek clone — from the music to the story beats to the jargon to the photography and shot selection — the whole thing just comes off feeling like a weak pretender, no matter how expertly produced.